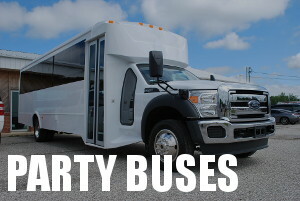 If you are reading this, you are probably in the market for a party bus rental. Well, you came to the right place. We have the largest fleet of party buses in West Palm Beach and the rest of the tri-county area. Our limo buses are spacious and luxurious, and can take you and your friends anywhere in the state of Florida so you can party all the way there! If you and your friends are taking a vacation to Universal Studios to hit the roller coaster and party at City Walk, we will take you all the way there, and on the way you can party, play video games, and have fun. When you have stayed as long as you want in Orlando, we will pick you up and take you back home! 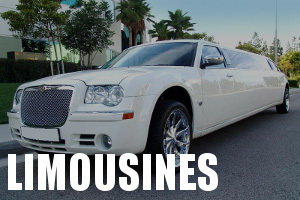 While you are there, you can use our partner company Orlando Limos. Check out our West Palm Beach Party Bus pictures or view our videos. We have the perfect party bus for every occasion and every person. We have buses that can accommodate anywhere between 14 and 50 people. When you rent from West Palm Beach Party Bus Rental, You not only get the benefit of having the highest quality party bus rentals in South Florida, but you also receive our first-class service. We don’t trust that just any “driver” will take care of your needs. We hire professional chauffeurs who see to it that your every need is accommodated and that you get to and from your destination safely. When you book a birthday party bus you can feel great knowing that you are in the hands of a licensed professional. Thousands of people have used our services over the past decade, and if you become our client you will see why. Click on our “Live Web Chat” link, use our website, or call us now at 561-290-0572 to get an instant quote or to make a limo bus reservation. 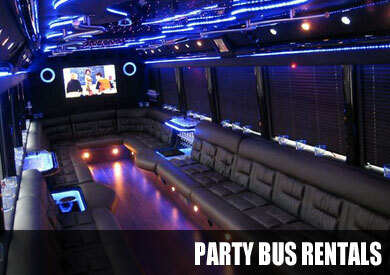 Over the past decade, our West Palm Beach party bus rentals have served our loyal clients for over a decade. We are the premier kids party bus provider in South Florida, and that is not just boasting. We have the most luxurious and modern party buses in the tri-county area, and the best service. We don’t trust just anyone with your safety and enjoyment on the road; we hire professional chauffeurs to take care of your every need and to ensure your safety in transit. Our dedication to you, the client, and our high standard for the quality of our limo bus rentals have afforded us an A+ rating with the better business bureau. For your next party or special event, let us take you and your friends for a ride in one of our luxurious shuttle rentals in West Palm Beach.Call us, use our website, or chat with a live chat agent today and get an instant party bus quote! Are you and your friends going for a night on the town? Then let us take you and your friends to The Blue Martini Lounge! Enjoy the lounge atmosphere, or get up and dance the night away! With regular drink specials, they can make a regular out of anybody! Maybe you’re looking for something a little more family-oriented? In that case, let us take you to the West Palm Beach Zoo! See Peacocks, Jaguars, Tigers, and so much more! Thrill seeker? Then party all the way to Rapids Water Park! If you are traveling from West Florida, you can try our sister company Limo Service Tampa. With over 30 different slides, most of which having the option of riding with 2-4 people in a tube, this is a water park that you can enjoy as a group! There is a lot of ground to cover, and some say that it is even better than Wet N’ Wild in Orlando! Let us take you where you want to go, and you can party all the way there. WE bring the party to your doorstep with our shuttle rentals in West Palm Beach Florida. Get your instant quote today and see for yourself just how cheap our party bus service is!